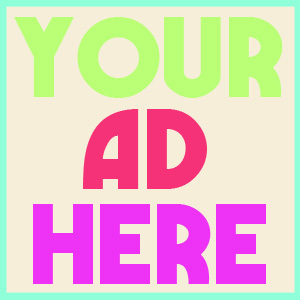 We are happy to announce that we will now be offering advertising at reasonably low prices! To see our prices, click the "YOUR AD HERE" in the right column or click here. We are even more excited to give you a deal for the rest of the month of February! If you are interested in advertising we would love for you to try us out for free until Feb. 29! If at the end of February you are happy with your time on our blog we invite you to continue advertising with us! If you are interested in participating in this offer, please send us an e-mail with you blog/shop address and we will contact you with further instructions. Although we do hope to help many different people/businesses out with this offer, we do reserve the right to only select ads that coincide with our blog! We can't wait to hear from you!